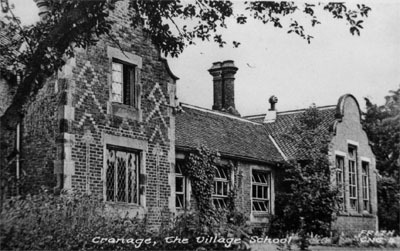 Cranage School. The original school was built in 1770 by Thomas Bayley Hall of the Hermitage. 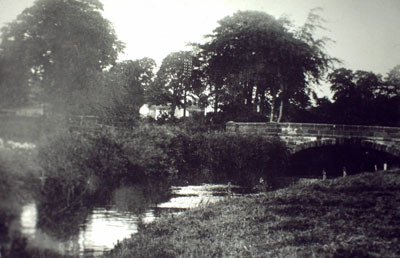 It was rebuilt by Lawrence Armitstead of Cranage Hall in 1849. 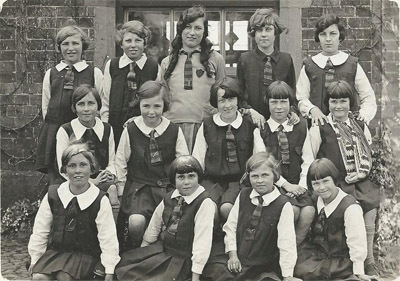 Originally a Blue Coat School, it was later a Church of England School. 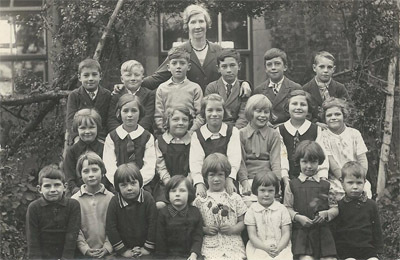 The school closed in 1990. Hawthorn Villa, now demolished, taken in 2000. 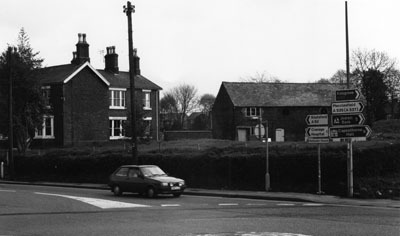 Site of Hawthorn Villas. 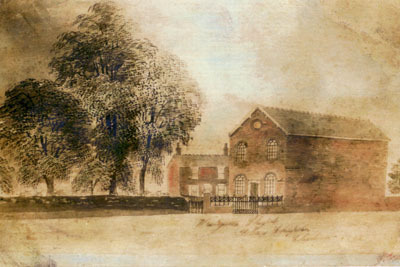 Painting of the old Wesylan Chapel, originally a cottage built in 1787. It was converted into a chapel in 1813. 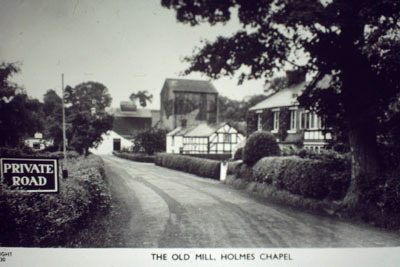 It adjoined the Knutsford Rd Church Yard and went out of use when the Knutsford Road Methodist Chapel was built in 1900. The Old Mill (now Massey's Mill). View above the wier at the mill bridge on River Dane. The wier on the River Dane. 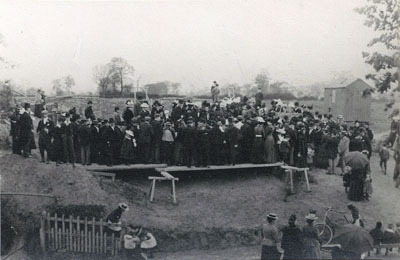 Laying the foundation stone at Knutsford Road Methodist Church, 23rd May 1900. 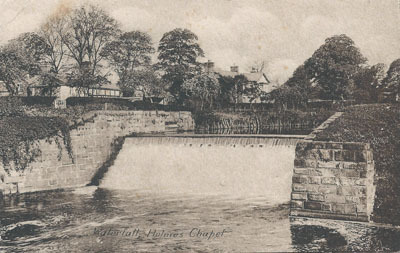 The first service was held 5th November 1900.